Below you fill find all funeral homes and cemeteries in or near Ocean Grove. Ocean Grove is also known as: Monmouth County / Ocean Grove CDP. Zip codes in the city: 07756. Monmouth County funeral flowers can be purchased from one of the local funeral shops we partner with. Ocean Grove has been featured in films like: According to Greta (2009), and Sandy Hook Lingerie Party Massacre (2000). Some of the notable people born here have been: Jerry Tuite (wrestler). Ocean Grove is an unincorporated community and census-designated place (CDP) located within Neptune Township, Monmouth County, New Jersey, United States. It had a population of 3,342 at the 2010 United States Census. It is located on the Atlantic Ocean's Jersey Shore, between Asbury Park to the north and Bradley Beach to the south. Listed on the National Register of Historic Places, Ocean Grove is noted for its abundant examples of Victorian architecture.Ocean Grove was founded in 1869 as an outgrowth of the camp meeting movement in the United States, when a group of Methodist clergymen, led by William B. Osborn and Ellwood H. Stokes, formed the Ocean Grove Camp Meeting Association to develop and operate a summer camp meeting site on the New Jersey seashore. By the early 20th century, the popular Christian meeting ground became known as the "Queen of Religious Resorts." The community's land is still owned by the camp meeting association and leased to individual homeowners and businesses. 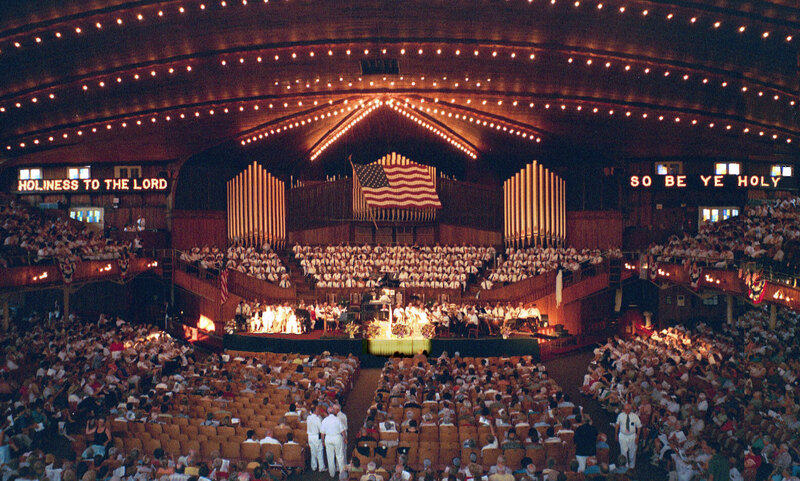 Ocean Grove remains the longest-active camp meeting site in the United States. It was reported by The Villages Daily Sun on March 28th, 2018 that Joan I Brumbaugh (Heilman) died in The Villages, Florida. Ms. Brumbaugh was 87 years old and was born in Ocean Grove, NJ. Send flowers to express your sorrow and honor Joan I's life. It was reported on September 26th, 2014 that Miriam S Wright (Semons) passed away in Summerville, South Carolina. Ms. Wright was 98 years old and was born in Ocean Grove, NJ. Send flowers to share your condolences and honor Miriam S's life. It was noted on June 18th, 2014 that Alice Lilieholm (Collyer) passed on in Ocean Grove, New Jersey. Ms. Lilieholm was 86 years old. Send flowers to share your condolences and honor Alice's life. It was noted on June 1st, 2014 that George Harvey Lilieholm died in Ocean Grove, New Jersey. Lilieholm was 91 years old. Send flowers to express your sympathy and honor George Harvey's life. It was noted on September 20th, 2011 that Lees Broome died in Ocean Grove, New Jersey. Broome was 86 years old and was born in Bossier City, LA. Send flowers to share your condolences and honor Lees's life. Heavyweight boxing champions James J. Bloustein School of Planning and Public Policy at Rutgers University, who stated that "The market was virtually flat..It suggests that the market is far from rebounding, and it may signal that there is weakness ahead." Plans were announced in 2006 for a major new hotel and condominium development on property which has been vacant since the 1970s, when the old "North End Hotel" – once Ocean Grove's largest – was damaged by fire and subsequently demolished in 1980. People looking to get away for the weekend typically avoided the Grove (the beach was closed on Sunday, too). A second, larger tabernacle was built in the 1880s and permanent structures began to be constructed. Regardless, it remains Ocean Grove's most prominent structure and the centerpiece of its summer programs (see more about the Auditorium further down the page). 118 Main Avenue, Ocean Grove, New Jersey 07756 Thomas J. Saragusa, Manager ... LICENSED FUNERAL DIRECTOR may quote funeral prices and make funeral arrangements. Listing all funeral homes in Ocean Grove, New Jersey so you can easily send flowers to any location (same day delivery) or find any funeral service. Saragusa, Thomas J - Ocean Grove Memorial Funeral, Ocean Grove, NJ : Reviews and maps - Yahoo! Local, 732.775.0434. Get Ratings, Reviews, Photos and more on Yahoo! Local. Ocean Grove Flower & Gift Shop, Ocean Grove, NJ 07756 - Order flowers and gifts online safely and securely for all occasions in Ocean Grove. We work with local florists and flower shops to offer same day delivery. You will find budget sympathy flowers in Ocean Grove here. Our funeral flowers are cheap in price but not in value.